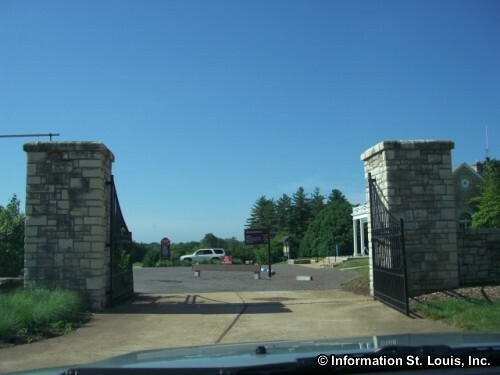 The Shaw Nature Reserve of the Missouri Botanical Garden was began in 1925 because of the extreme pollution problem that the city of St. Louis was experiencing due to coal burning. Many of the plants located in Shaw Gardens were being threatened or damaged by the pollution. The entire Orchid collections was moved to the Reserve, but before any other collection was moved, the pollution problem cleared. 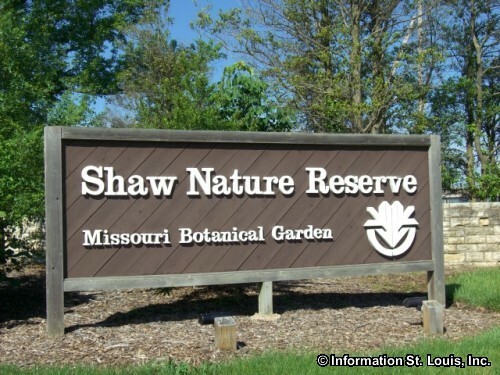 Today the Shaw Nature Reserve is an outdoor classroom for many children and adults through a variety of programs available, as well as a laboratory for the Missouri Botanical Gardens and researchers from several St. Louis area universities. Many diverse natural habitats for plants and animals are found on the 2,500 acres of the Reserve. Tall grass prairies, marsh wetlands, floodplain forests, conifers of the world, native wildflowers, are just a few of the landscapes that can be found there. Fourteen miles of hiking trails wind through the wide variety of natural settings. The Reserve also has 3 picnic areas and a children's natural play area. There are also several types of guided tours, even lunch and dinner tours! The Shaw Nature Reserve is open year round from 7am to sunset. 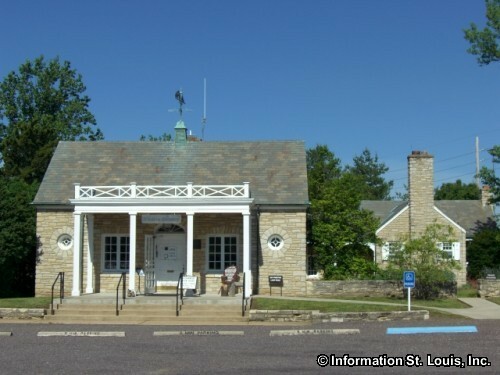 The Visitor Center hours are 8am to 4:30pm on weekdays and 9am to 5pm on weekends. An admission fee is charged. Members of the Missouri Botanical Garden get in free. Classes and programs are also available for children and adults at an additional charge.